If you are highly sensitive, you’ve often known it for a long time. You’ve been told you were “too sensitive” growing up, or struggled with the intensity of sounds and number of people in school, didn’t like many foods or when your sweaters itched or your socks had that funny line in the wrong place. You could tell your mother was mad just by walking into the room she was in, and you knew immediately that your friend was hiding something even though she said she was fine and no one else saw anything wrong. Sensitivity can also increase in our later years, so things that didn’t bother you at 30 may bother you now at 49. If you are unsure about being an HSP and would like to find out, here is a self-test for “HSPness” developed by Aron based on empirical research on the trait. How does this play out in my own life? Now, I have outgrown most of the food issues but still can’t stand chunks of fruit in yogurt or ice cream (I’m gagging just writing that). Smells bother me quickly – this improves my mediocre housekeeping skills, but also drives me nuts when it’s a smell I can’t remove, like when someone is mowing the lawn nearby, or when the smell of the cleaner is irritating me as much or more than the smell I was trying to get rid of. Certain clothes still bother me, and I can’t stand to wear fleece or anything too polyester-y. If my socks are poly-cotton, I’ll feel weird by the end of the day. (Weird being the technical term.) Clothes have to fit just right. I have sensitive skin, I can’t stand to hear people chew too loudly, and I crave, but don’t get, copious amounts of time to be quiet and alone. I startle easily and tire more easily after any day that isn’t peaceful and quiet (read: most days). I am still moved to tears quickly, but am better than I was when younger. I’ve learned to stuff down those feelings to prevent embarrassment — I’m not sure that was ultimately wise. I think my biggest trigger is noise, and after being talked at all day long, in addition to the normal noises of a full household, my ears physically hurt. Being constantly interrupted is particularly jarring, and is something we are working on fervently here. Four girls do a lot of talking, and my son especially feels he needs to just start talking whenever he feels like it to have any chance of being heard. I can force myself to endure any and all of these things, but it’s at a cost to my health and sanity when it goes on for to long without self-care. For years I had thought that self-care was selfish at worst, optional at best. Now that I find myself perpetually burnt out and exhausted, I realize how off base that really is. I think we know we are to be sacrificial as mothers, and us HSPs take that to heart, and to extremes. I’m slowly learning, day by day, to embrace my sensitivity and that of my family members, and to help others understand and love me for who I truly am, sensitivity and all. How does sensitivity play out in your life? I’d love to hear about it. I just found your blog from Wildflowers and Marbles. What a treasure. I am not HS- Well, maybe in a few areas… But I am mothering a few HS Children- One extremely so. I’m off to dig through the archives. Thanks for sharing! I just found your blog from a comment you left on Amongst Lovely Things. I too, am an HSP and I find it is my biggest challenge as a parent and a homeschooling mom of 2. My 10 yr old daughter is a vibrant girl who feels compelled to fill the empty space with talk or song. 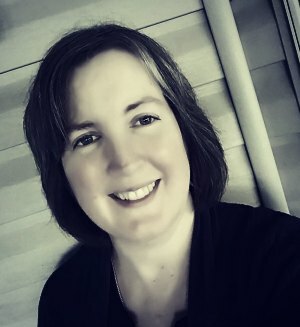 I have been searching for a blog where I can connect with other HSPs who are also homeschooling their children. Thank you for sharing your journey. With gratitude, Jamie. Do sensitivity to medication and diet fall under environmental changes and stimuli? As in, do they count, too? I find that my middle daughter (who definitely has tactile sensitivity) and I both have more severe symptoms during sickness, seasonal allergies, issues caused by MSG/dyes, and will experience more of the possible side effects of medication. Our bodies are just more sensitive than the rest of the bunch to the emotions/needs of others, food & drugs, illness, etc. So we go natural routes as much as possible. Funny how others don’t understand, thinking it’s all in our mind, we’re making it up…but they don’t deal with the aftermath of not trying to prevent all these exposures. Definitely, Kristin! I find that is true of myself and my sensitive kids, and have read it is true in others. I know what you mean about people thinking it’s all in our minds, as if just thinking differently could change it. That’s like saying “thinking differently make a diabetic not have blood sugar problems.” Now technically, I guess that could be true for some people – like the people who can think positive thoughts and cure their cancer! But it’s not like we are making sensitivity up. We are truly wired differently. We are not processing like others. Amy, My sons and I are definitely HSP. I remember taking the online test for my son and realizing that I answered yes to almost every question!